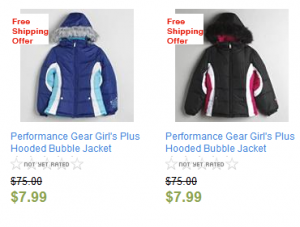 Sears: Girls Toughskins Hoody for $3.99 and Girls Bubble Jacket for $7.99! You are here: Home / National Stores / Sears: Girls Toughskins Hoody for $3.99 and Girls Bubble Jacket for $7.99! Now that warmer temperatures are here, I’m sure the last thing you want to think about is jackets, but this is the PERFECT time to buy ahead for next winter because you can get hoodies and jackets for DIRT cheap! 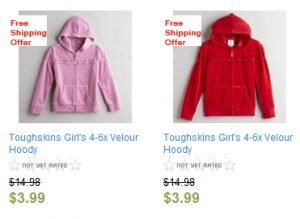 These super cute Toughskins Girls Velour Hoody jackets are just $3.99! These Performance Gear Girls’ Hooded Bubble Jackets are just $7.99! You can get either one of these offers shipped to your local store for FREE! 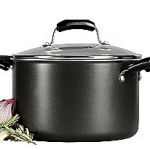 NOTE: Your cash back will be credited to your ShopAtHome.com account within 30 days. 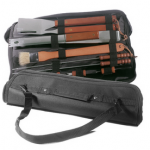 You will also get a $5 cash back bonus if you are shopping through ShopAtHome.com for the first time, which makes the hoodies FREE and the bubble jackets just $2.99! 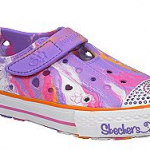 HOT DEAL ALERT: Girls Skechers Twinkle Toes Sneakers only $8 shipped! 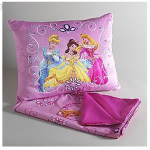 Disney Grab and Go Sleeping Bag and Pillow as low as $14.24 + 6% cash back! 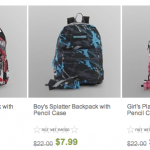 Kids Backpacks for just $6.39 shipped + TAX FREE for Texas! 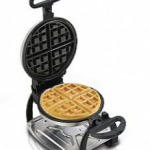 Hamilton Beach Belgian Wafflemaker for $18.69!